Image retrieved from ecx.images-amazon.com on September 22nd, 2014. With the entrance of “:intellectuals” into the drug user community, a caste system seems to have evolved. The castes differ to some extent in both their approach to and in their use of marijuana. The lower caste, usually composed of poorly educated, socially disadvantaged persons, simply “trip” on the effects of the drug; that is, they take the drug to experience the bizarre effect for the effect itself. In general a “trip” is a psychological excursion during which the user enjoys (or endures) certain emotional effects. Since the intellectual challenge normally fails to appeal to the lower caste user he will, if he responds to the effect of the drug, try to remain high as much of the time as possible. If he decides to progress to a stronger drug for escapist purposes, he will often turn to heroin because of its sedative effect, rather than to more potent psychedelic substances. The upper caste is composed of intellectuals—students, certain misguided faculty, professional men and the “arty” group—who take this drug either alone or as a group experience in an attempt to find an inner meaning to an existence which has become prosaic, empty, confused or meaningless. This upper or intellectual caste has further been divided into three subcategories: The dabblers, the users and the heads. The dabblers are the counterparts of the “chippers” in the opiate field. The play with the drug, use it sporadically, think it is something daring and the contemporary thing to do. The “respectable” weedhead is usually found among this group. The user is frequently a weekender. He indulges in his drug much as some of his friends with a different bent might enjoy a weekend beer-blast. He likes the effects of the drug, considers the effect a mystical experience, smokes it for social as well as psychological reasons and, as a matter of ego satisfaction, tends to exaggerate the effects he derives. This group is important, for it is here that the “marijuana cult” has its beginning. It is here that the “kooks and radicals” as well as the otherwise seemingly reasonably well balanced users appear. And it is here that the potential for going on to more dangerous drugs makes its first significant entry. Heads, per se, constitute only a small segment of the upper caste users at present; but they are important because they tend to be leaders of the marijuana cult and susceptible individuals are influenced by them. The head is in essence solipsistic. His world rotates around his drug experiences. He abhors authority whether it be parental, educational or legal. To him the whole respectable world is an enemy. He frequently drops out of school, finding it difficult to communicate with or associate with persons who are not attuned to his philosophy. Regrettably, he often makes his home near educational centers where, because drugs are in demand, he can make a living selling them (“pushing”) while at the same time attacking organized society. LSD and other psychedelics are the next step in his program, but hard narcotics are not unknown to him. 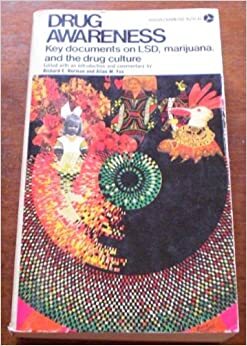 Among the intellectual drug abusers there is a serious tendency to use marijuana and other psychedelic drugs (substances which alter perception and produce mental distortion) for purposes of “maintaining” and for mental exploration. To “maintain,” in this parlance, is to defer the enjoyment of the pleasurable effects of the drug and to utilize the experience to better understand one's inner self and to rid one's self of psychological problems (“hang-ups”) which prevent one from arriving at the desired state of being master of himself (“cool”). The maintainers are usually intelligent, capable, socially useful persons who insist there is nothing dangerous about the use of the drug. Many feel they have found a useful psychological tool which will amplify their personality and individual understanding. In talking to college students, Goldstein found it possible to make some rough generalizations concerning users in this group although he found no general conformation to a stereotype. The maintainer tends to be either apolitical or liberal. His drug experimentation tends to be a part of an overall pattern of rebellion against current social values which he tends to reject. Academically he may be an honor student—or a dropout. He seems convinced there is no significant danger associated with the use of marijuana. The majority of student users, however, seemed to sense that progression to stronger psychedelic drugs may be associated with serious consequences . But in equating marijuana with other social indulgences the general feeling was that the only bad thing about the drug is that its use could land the user in jail. Another student, however, brought the social factor into play: “Pot gave me a real sense of purpose, an assurance, a kind of concept of the straight and narrow, although that might sound ironic. The whole thing is the kids you smoke it with. You really start to share bits of yourself with the smoke. And after a while you've got friends, and an ideology, and even girls you'd be surprised how many girls equate pot with seduction.” While the maintainers are intellectually inclined and are likely to be dabblers, the trippers represent another form of expression. This lower case majority is frequently at odds with its self and with society. Its members use the drug, consciously or unconsciously, as a continuing weapon in their personal vendetta against a society with which they cannot cope. Sometimes, released by the effect of the drug, they do things that are startling and damaging.